Discover free and affordable summer fun in Washington, DC from Memorial Day weekend through Labor Day. As you plan your family trip to DC, we’re here to remind you of all the free things to do this summer in the District. From July 4th fireworks and holiday concerts to special events like the Memorial Day parade, summer in Washington, DC makes for an unforgettable time, and it doesn’t have to hurt your wallet. Here are some of our favorite free summer activities and events in the nation’s capital. 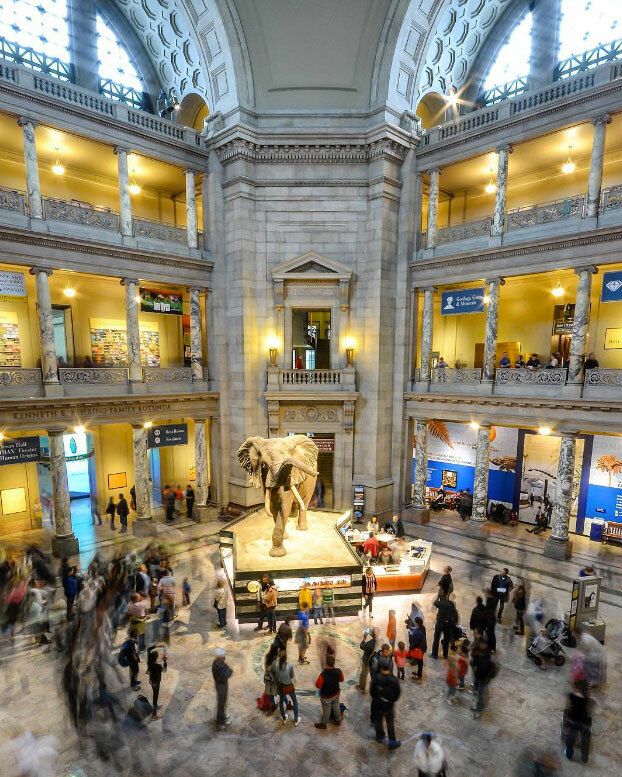 And if you're looking for even more budget-friendly summer fun, you can save big on popular paid attractions with Washington, DC’s best city and attraction passes. Discover discounted sightseeing tours, museum passes and so much more. 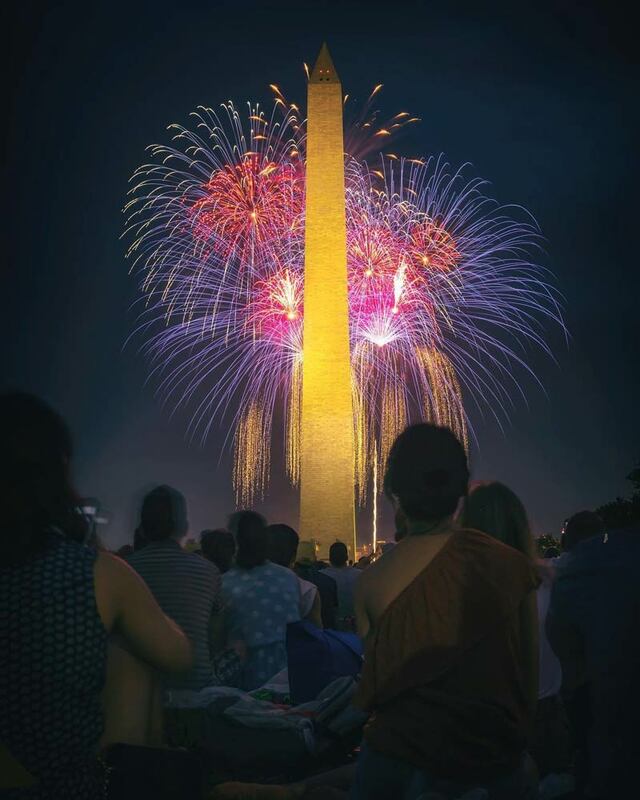 It’s not summertime in the District without an epic (and free to attend) Independence Day celebration featuring fireworks soaring over the iconic National Mall. After the music of ‘A Capitol Fourth’ concludes, the night sky lights up with a colorful display that you will never forget. We've compiled a list of the best spots to watch the Fourth of July fireworks in Washington, DC. 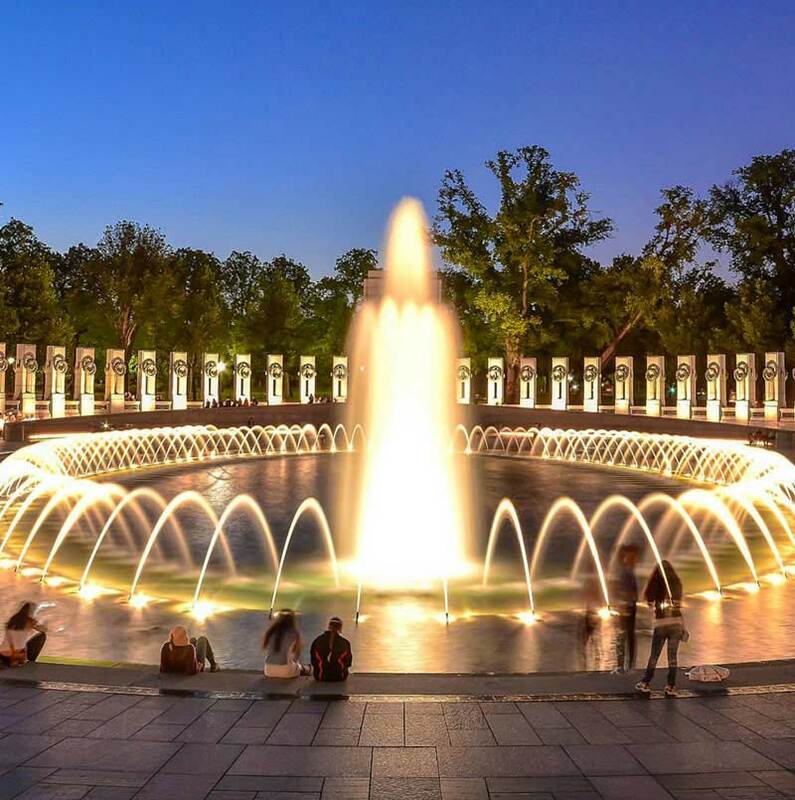 If you think DC’s National Mall is stunning during the day, you’re in for a treat when you explore its monuments and memorials on a summer night for the first time. The Lincoln Memorial, the Jefferson Memorial and World War II Memorial are all stunning in moonlight, as is the Martin Luther King, Jr. Memorial. Picturesque moments await, which you should tag with #MyDCcool. Summertime and movies go hand-in-hand. Yes, the biggest blockbusters are in theaters, but step your movie-going experience up a notch and relax outdoors while taking in a classic film or one you’ve never seen before. 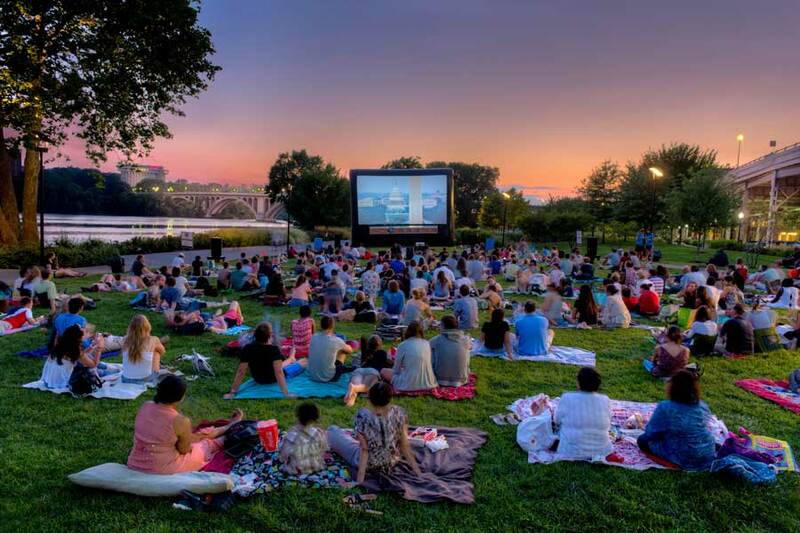 These outdoor movie screenings, many of which feature beautiful scenery and are free to attend, are the perfect way to turn summer nights into monumental memories. 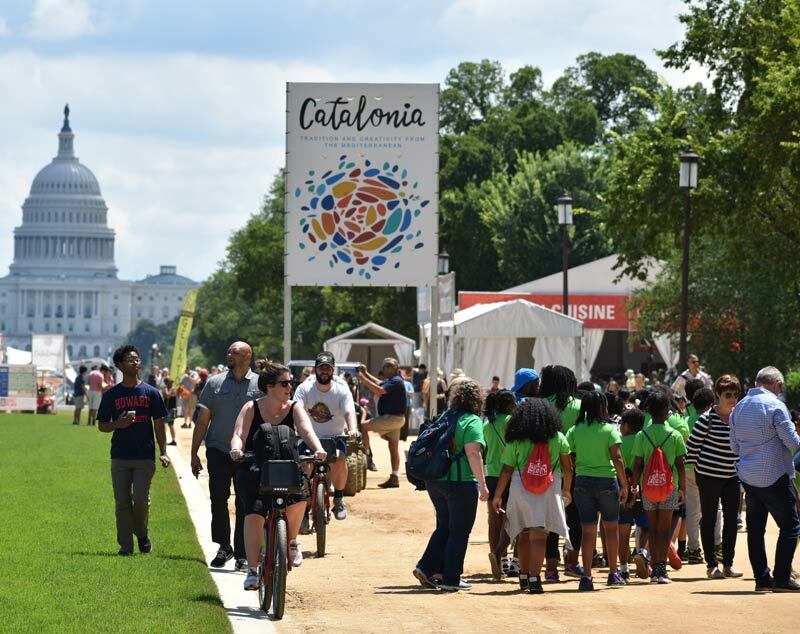 One of DC’s most beloved summertime traditions, the annual Smithsonian Folklife Festival on the National Mall runs from June 29-30 this year. Located adjacent to the Smithsonian National Air and Space Museum, the 2019 edition of the festival will celebrate the social power of music. The event also features a marketplace, free live music performances, storytelling and food from around the world. 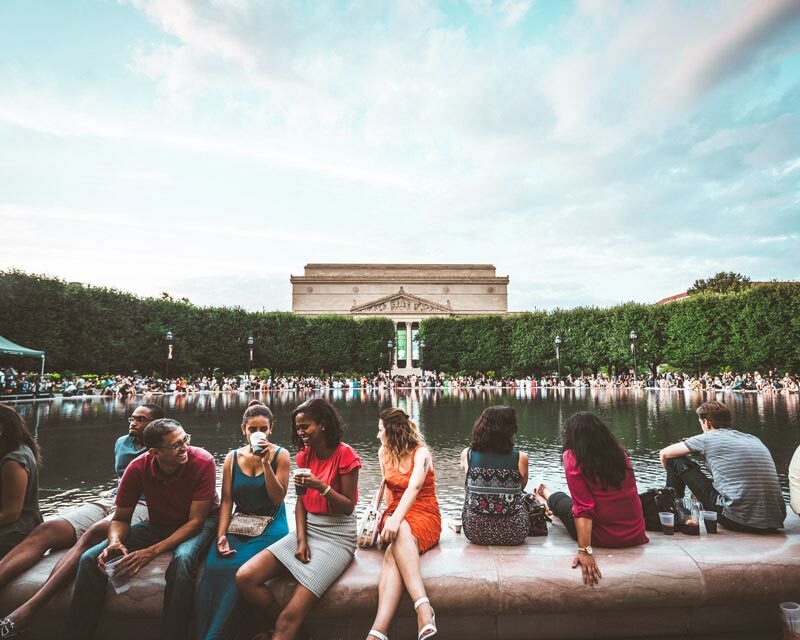 Experience jazz in outdoor glory during Jazz in the Garden, annually held inside the National Gallery of Art Sculpture Garden for free. The series attracts crowds every Friday night during the summer, and you can enjoy food and drinks while you snap your fingers to smooth sounds. 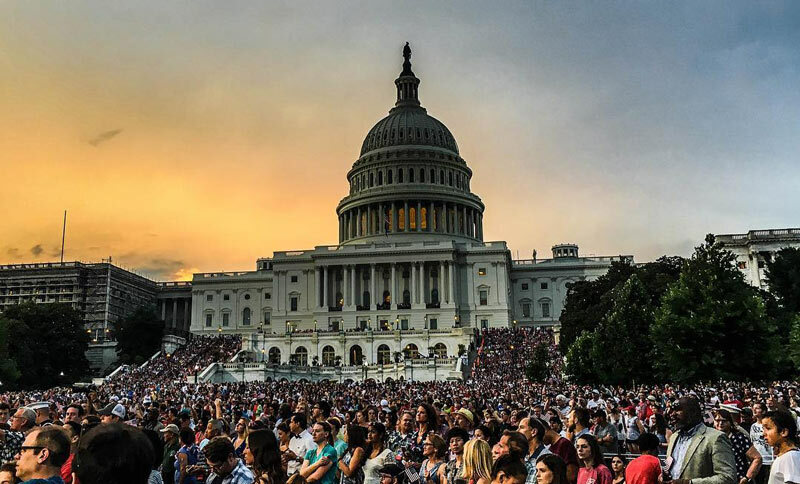 Washington, DC hosts free musical performances on the West Lawn of the U.S. Capitol for every summer holiday. The Memorial Day concert takes place the night before the holiday and often features celebrity performers. The Fourth of July offers ‘A Capitol Fourth’ in addition to dazzling fireworks, while Labor Day has its own concert from the National Symphony Orchestra. 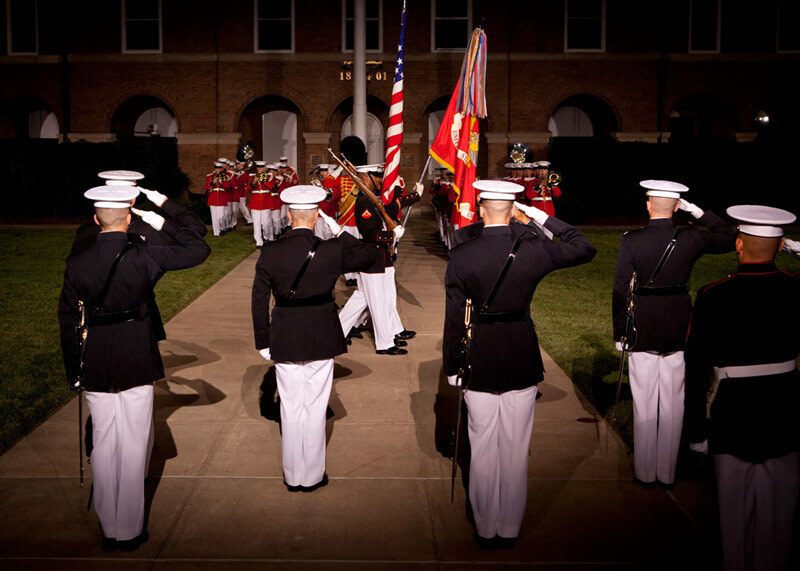 Gather in Capitol Hill's Marine Barracks on Friday nights for the Evening Parade, a free event hosted by “The President’s Own” U.S. Marine Band, “The Commandant’s Own” U.S. Marine Drum and Bugle Corps and Chesty, the official mascot of the Washington D.C. Marine Barracks. The shows usually occur from 8:45-10 p.m., with performances running from early May to late August. 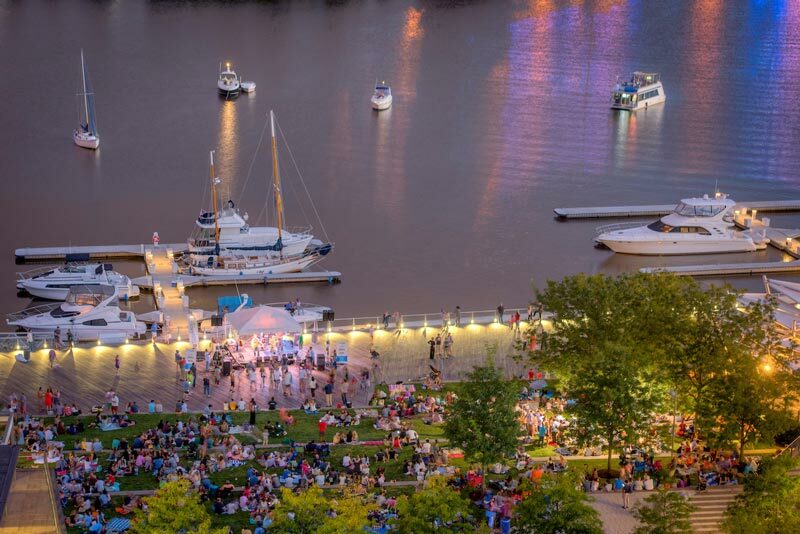 One of the city’s most scenic settings is The Yards Park in Capitol Riverfront, which overlooks the Anacostia River. The park’s family-friendly Friday Night Concert Series usually runs from May to September, with shows starting at 6:30 p.m. Kids will love the interactive fountains while the parents can sit back and enjoy the show. 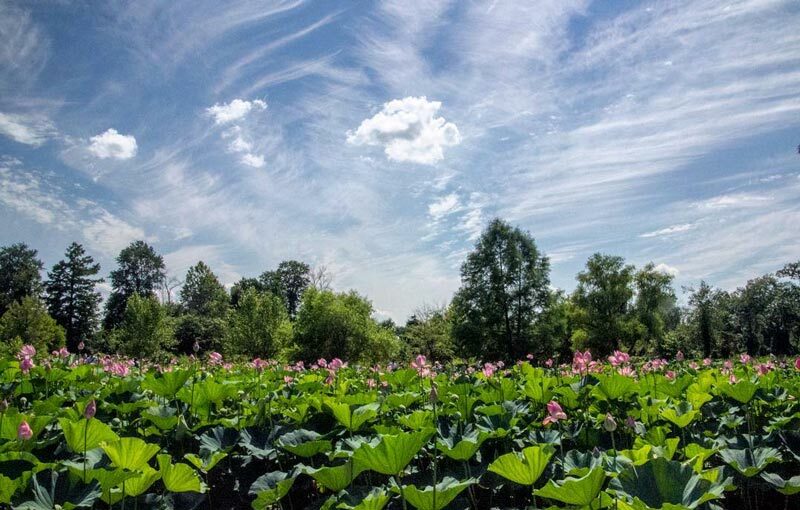 Kenilworth Park & Aquatic Gardens equals paradise for nature lovers, with its famous water lilies and lotus flowers providing picturesque scenery. The gardens even host an annual festival in honor of the plants, usually in July. There’s also plenty of space for picnicking and you may even spot some wildlife during your adventure! There’s nothing like some water-themed fun in the summertime. 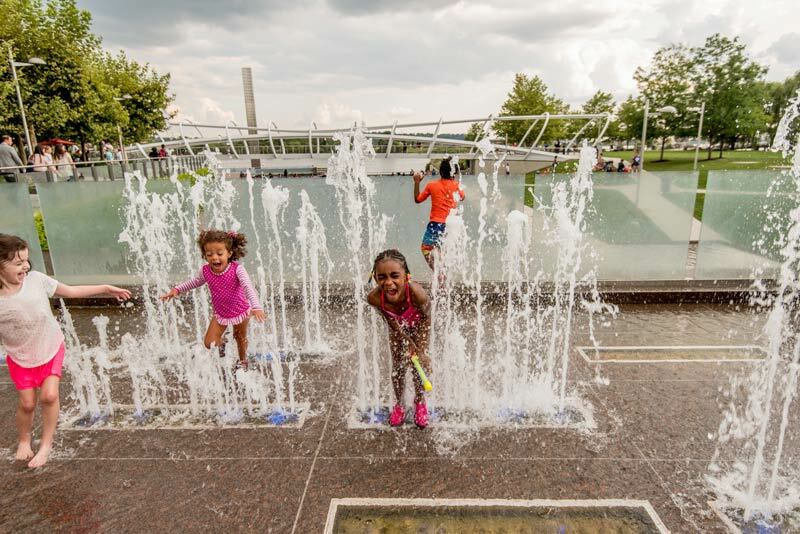 DC has plenty of options, including the Capitol Riverfront's Yards Park and its 11-inch basin and dancing fountains, Canal Park’s interactive fountain, Georgetown Waterfront Park’s 50-foot space and Petworth’s spray park. 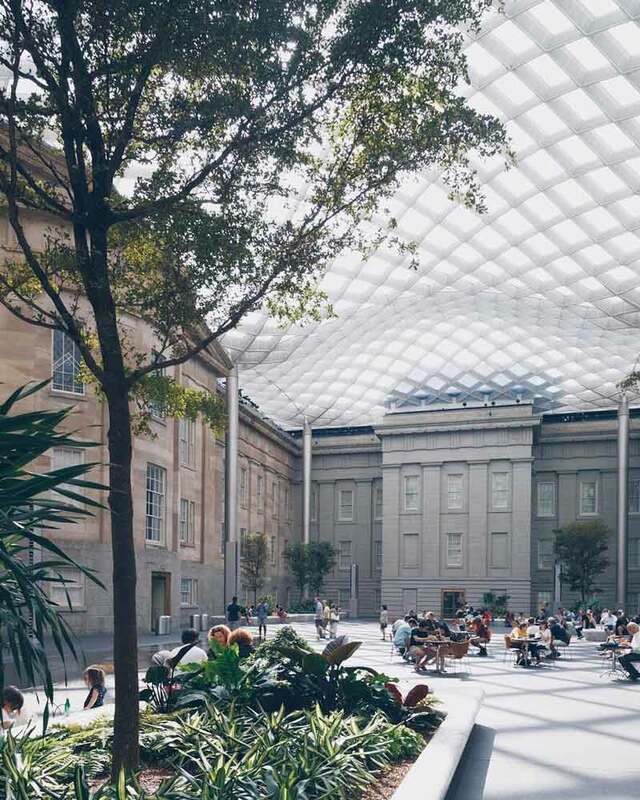 Sharing a building with the National Portrait Gallery and the Smithsonian American Art Museum, the Kogod Courtyard makes for a perfect spot for an afternoon cool-down. There is plenty of space to lounge, an incredible roof that lets in natural light and even a cafe so that you can power up with a snack or drink. 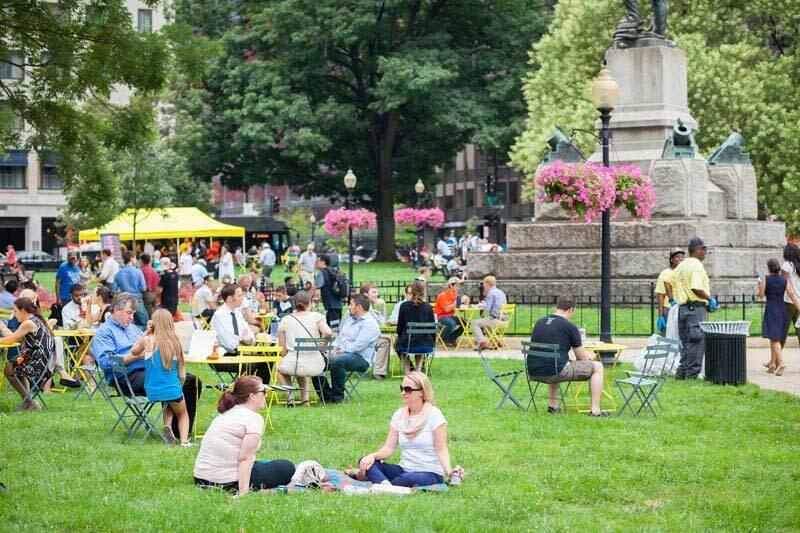 Hosted by the Golden Triangle BID, Farragut Fridays is an event series that runs in Downtown DC's Farragut Park from May through September. Free WiFi, tables and chairs are offered throughout the day, while Picnic in the Park features lawn games and pop-up events including live music, food from local vendors and puppies in the park. At night, the park’s Golden Cinema series features outdoor movie screenings. This summer the Smithsonian National Museum of Natural History will debut its new 31,000-square-foot fossil hall with this epic exhibit that connects our planet’s very distant past to the present and future. Visitors will be transported to ancient ecosystems, navigate through the evolution of life across 4.6 billion years and encounter roughly 700 fossil specimens along the way, including a T-rex and a woolly mammoth. 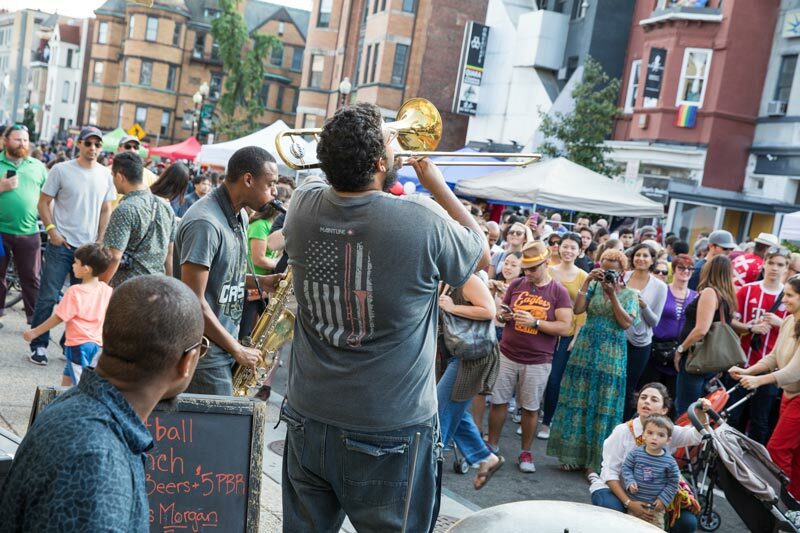 Held annually in September, Adams Morgan Day celebrates one of the city’s most popular and cultural neighborhoods. The family-friendly event features free live music, food from local vendors and activities to be enjoyed by all ages. The 2018 edition will be the 40th anniversary of the festival, so expect an even livelier atmosphere.